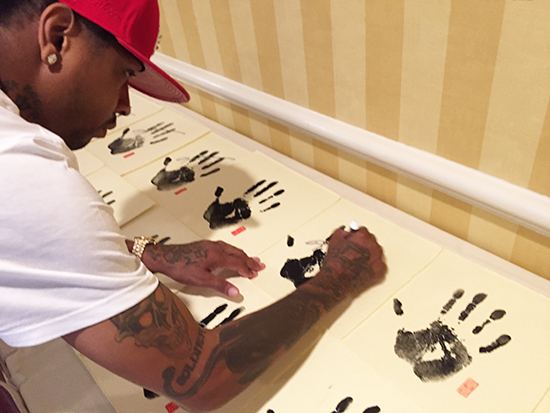 At a recent signing session with Allen Iverson, Upper Deck gave the Philadelphia legend the Hall-of-Fame treatment. He signed a variety of memorabilia items that is available now for fans of “The Answer” on Upper Deck’s online store (www.UpperDeckStore.com). Upper Deck Authenticated will be launching a variety of unique Allen Iverson memorabilia items in the coming weeks with many items like this available now! 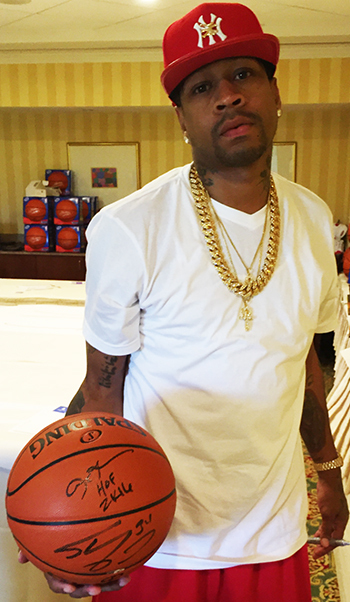 One of the more unique items Allen Iverson signed was a basketball that is also signed by his Hall-of-Fame classmate; Shaquille O’Neal. 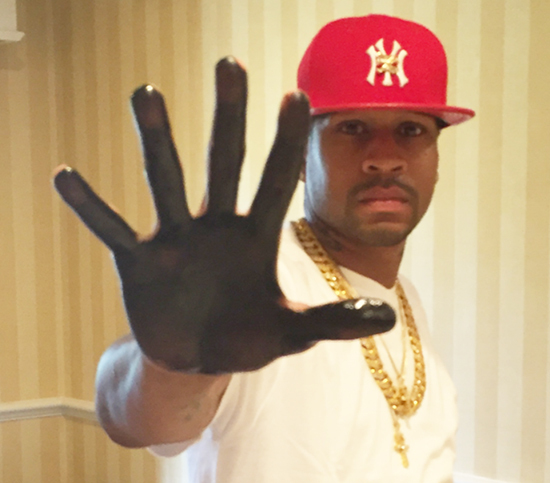 Here Allen shows off one of these limited-edition basketballs. The athlete has his hand dipped in ink and then applies his palm print to a special parchment paper leaving their handprint on the piece. The athlete then uses a unique stamp to mark each collectible piece of parchment. Then the athlete lends their autograph to the collectible piece. Upper Deck Authenticated jumps in from there authenticating the piece and having it housed in an incredible display that shows off the athlete’s incredible career. The Allen Iverson Upper Deck Authenticated Tegata piece will be available in the coming weeks and is the perfect collectible item for fans of one of the game’s greatest players! Thanks for the behind-the-scenes look, and thanks AI for the memories!